A big anniversary invites reflection. 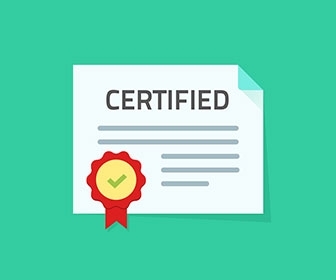 When it was time to renew my Certified Case Manager ® (CCM ® ) credential last fall—25 years after first becoming certified—it struck me how much I identify, both personally and professionally, with the role. I have kept my original paper certificate, conferred with the inaugural class of CCMs, framed, and it hangs in my office next to the current certificate. My work as chief industry relations officer at the Commission for Case Manager Certification doesn’t involve day-to-day case management or even supervision of case managers. But it’s funny how being a certified case manager becomes part of your being. As an experienced case manager, I have the ability to help people understand their needs and preferences, navigate through the complicated maze of our health care system and access the resources they need for optimal health. And as a certified case manager, I embody the knowledge, capability and skill required for the role. Friends and colleagues trust me to help them along their path to self-management, self-advocacy and recovery. I am bound by high professional standards and a code of conduct. Those three letters behind my name validate my qualifications to employers, providers and peers. “I often come in contact with those new to this work, and I encourage them to continue to work towards the CCM. Maintaining my CCM validates that suggestion. It keeps me relevant and informed—connected to information and a body of work and a practice that I will probably forever feel committed to. It’s a designation that I am very proud of.”-Nina, certified since 2009. Today, it’s my desire and my dedication to see a growing, diverse cadre of case managers achieve certification and earn the peer, employer and client respect it engenders. The Commission’s research and commitment to ensure the exam remains practice-based and relevant also supports a health care industry motivated to employ knowledgeable, qualified case managers. That ongoing commitment positively impacts the hopes, dreams and careers of more than 45,000 board-certified case managers. Salaries are on the rise for those who are board certified, with the median salary between $80,000 - $85,000 annually. 88% say certification has had a positive impact on their career. Employers recognize the importance of the CCM by paying for the exam or renewal and often requiring the credential. Supervisors who are CCMs highly prefer hiring those who are certified. Are you ready to join the more than 45,000 certified case managers who have a lifelong, fulfilling career they are proud to renew for decades? If the answer is yes, review the eligibility requirements to become a better case manager, a better you!